Clearly, we've overestimated intelligence as a world-changing force; it is idiocy that holds sway. Like many top intellectuals the world over, I've been thinking about the shape of history itself. Spurred on by the emergence of unexpected events and personalities onto the world stage, I have been cogitating deeply on the questions of where we've been and where we're heading. The world-historical confrontation between US President Donald Trump and North Korean leader Kim Jong Un, which may well proceed from verbal to actual Armageddon, demands a new understanding of history: It has all, undeniably and inexorably, been leading up to this. North Korea demands that we oust the "lunatic" who governs us or face "the abyss of doom", while our own dear leader characterises Mr Kim in historically significant tweets as a "madman" on a suicide mission whom we will "totally destroy." As all top intellectuals know, Hegel argued that history, in its essence, is the coming-to-self-consciousness of the Absolute; Marx said that it is the dialectical unfolding of the material conditions of production; Michel Foucault pointed out that it is a succession of "epistemes" (roughly, a body of common shared beliefs), each inscribing its own regime of power; Francis Fukuyama claimed it was over; and Jean Baudrillard said it never actually happened in the first place. Before these theories emerged, it was the Great Man view of history that dominated the field. "The history of the world is nothing but a biography of great men", wrote Thomas Carlyle. Or as Ralph Waldo Emerson had it: "It is natural to believe in great men. We call our children and our lands by their names. Their names are wrought into the verbs of language, their works and effigies are in our houses." On this view, the drivers of history are not races or classes or nations, but particular military geniuses, messiahs, kings, dictators, inventors, captains of industry, artists and saints. The Great Men swaggered onto the stage one after another, each capturing and conquering the Spirit of the Age. You will notice, of course, that the Great Man theory involved no women. This made perfect sense to the men writing the theory of history. 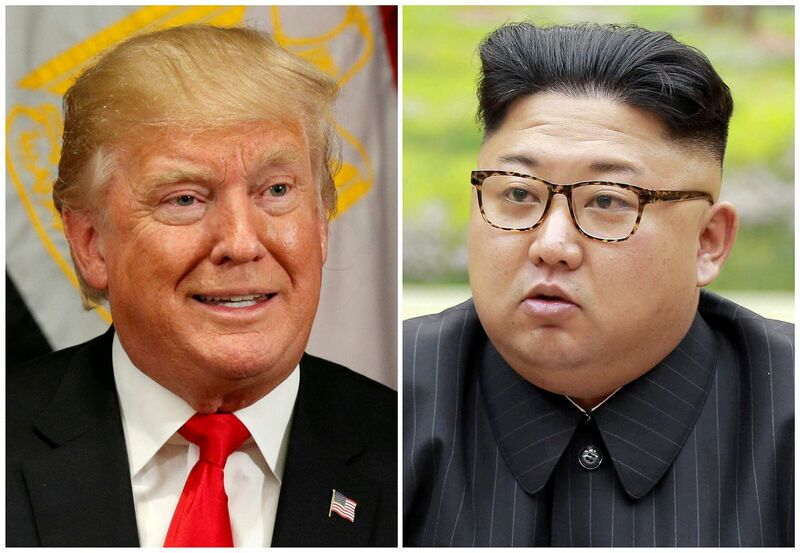 The world-historical confrontation between US President Donald Trump ( left) and North Korean leader Kim Jong Un, which may well proceed from verbal to actual Armageddon, demands a new understanding of history. But the true test of philosophies of history is history itself. I suggest that the Great Man Theory, though already battered by Marxism and feminism, isn't likely to survive the historical dialectic between Mr Trump and Mr Kim. These phenomena suggest the need for a completely fresh account of history itself, a new theory that is almost certainly my ticket to a long-anticipated MacArthur "genius" grant. Or it would be, if I could settle on a name for it. According to your mood, it might be termed the Jackass Theory of History, the Howling Mediocrity Account, the Colossal Bungler Hypothesis or the Blockhead Conjecture. US Secretary of State Rex Tillerson writes in to suggest the Moron Theory, but this is insensitive towards those with intellectual disabilities. We must now reckon with this fact: Human history is the bumbling-about of self-deluded and incompetent doinks. Surely you are not going to deny that. It is nothing so much as a series of pratfalls by inept leaders and the suckers who follow them towards doom. Their incompetence is a historical force in the lives of each and all of us. It is now painfully clear that we've overestimated intelligence as a world-changing force; it is idiocy that holds sway. In a bad decade, a leader might spend you into a US$20 trillion deficit or execute all the sparrows in China. Above all, no matter how many times they watch The Princess Bride, prospective world conquerors still get involved in land wars in Asia. As Napoleon blundered his way through Europe on his way east, creating disaster for himself and millions of others, Hegel greeted him as "world history on horseback". Perhaps Hegel had this Great Man thing wrong end up. The traditional culmination of a philosophy of history is to identify the goal, end or destination of the whole human saga. I speculate that the Trump-Kim dialectic is the final stage, in which history simultaneously realises and annihilates itself, and us with it. On the other hand, we might keep floundering about for a while longer, as new pseudo-divine Bozos arise and the old ones go down like jetliners. This is a lot to process. But as you gaze stupefied upon the continuing disaster, you can comfort yourself in the knowledge that you now understand the driving forces that are making it happen, thanks to the Big Chump Theory of history. You can thank me later. Or maybe you better thank me now. Crispin Sartwell is the author, most recently, of Entanglements: A System of Philosophy.